Two-factor authentication, also commonly referred to as 2FA is an optional feature for extra strong security. It adds another layer of security to your account so if compromised or stolen, only you can log in. 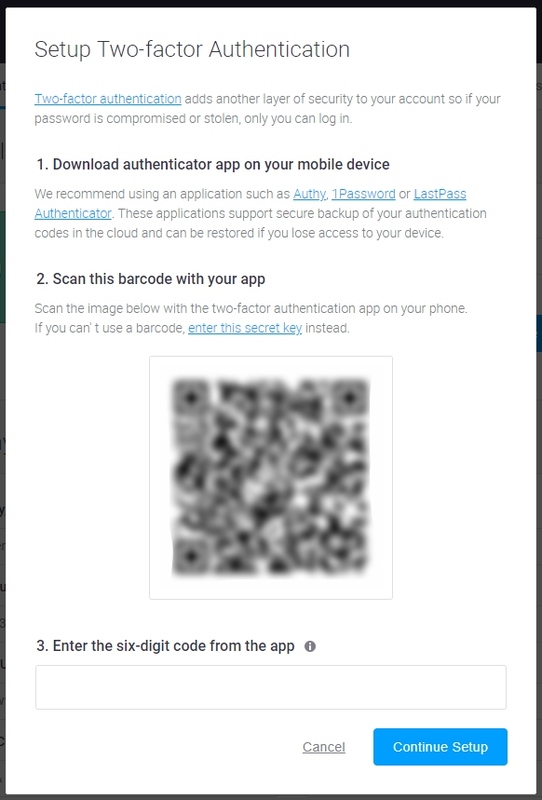 Before you start, download an authentication application such as Authy, 1Password or LastPass Authenticator. Note: Only input the secret key in your app instead, if you are not able to scan the code. You will see a new window appear with recovery codes. Save the codes by downloading them in TXT format, printing or/and copying them to the clipboard. Note: You will only be able to proceed when the codes are saved. 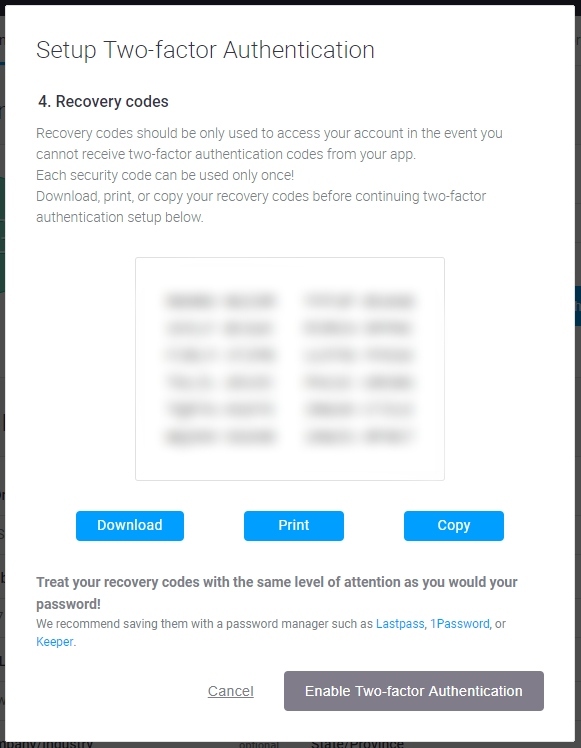 Recovery codes should be only used to access your account in the event you cannot receive two-factor authentication codes from your app. Note: Each security code can be used only once! 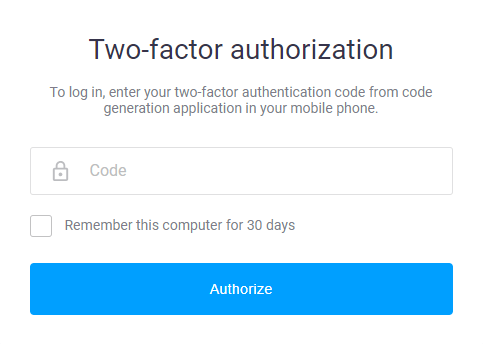 If two-factor authentication has been enabled, you will be asked for the security code after logging in with your e-mail and password.